Is a Bail Bondsman a Bounty Hunter? Many people watch the television shows, read the comic books, and see the movies about bounty hunters and their daring chronicles. 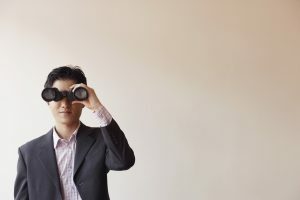 It makes many of us question the veracity of these story lines, and whether or not bounty hunters truly exist in real life; while many others are under the impression that bounty hunters and bail bondsmen are the same thing. When a person is arrested, they are taken to the local county jail and given a chance to post bond using the services provided by a bail bondsman. Is this bail bond agent also a bounty hunter? Are bounty hunters even real? Continue reading to learn the truth behind the stories and myths about bail bondsmen and bounty hunters, and who to ask for additional information regarding the topic. A bounty hunter is also called a fugitive recovery agent, skip tracer, and bail recovery agent. They are not bail bondsmen, as they do not provide bonds for people in jail. Bounty hunters are rare, and often “free-lance” workers that are typically hired in high-profile cases to investigate the whereabouts of a criminal or dangerous person on the run from the law. The reason why bounty hunters are confused for bail bondsmen, and vice verse, is due to the fact that bail bond companies will sometimes hire a bounty hunter to track down a fugitive that has been released on bail. They do this for high-profile cases in which the bond amounts are thousands of dollars or more, or if the fugitive is labeled extremely dangerous and likely to harm someone or commit a serious crime. For example, if a bail bondsman provides their services for a person with a felony charge with a bond total of $100,000, and then the criminal skips their court hearings and goes on the run after being released from jail, the bail bond agent loses all that money they paid to the court in order to release said defendant on bond. This is where a bounty hunter is outsourced, so that a bail bond company can return the fugitive to jail and receive their money back. However, in most counties and states, bounty hunting is an illegal enterprise. A bail bond agent is either the person you call after being arrested, or the person you call if you need to turn yourself in for an arrest warrant. They can also provide additional services like notaries, inmate lookups, and more. They will pay the total bond amount for a non-refundable service fee so that you can be processed and released from jail to await your court hearing at home. Depending on the crime and charges, bond amounts will differ. In most states, bail bondsmen are allowed to charge anywhere from 10 to 15 percent of a person’s total bond amount. If a person was arrested for an OWI and has a bond amount of 5,000 dollars, then the service fee will cost them anywhere from 500 to 750 dollars. The fee is non-refundable, and the bail bond agent gets their five thousand dollars back when the defendant show up for all their scheduled court hearings. If a person skips their mandatory court date, they are listed as a fugitive of the law and a warrant is issued for their immediate arrest. This is also an example of when bail bond agent can then hire a bounty hunter to track a person down so they can get their five thousand dollars back from the courthouse. A person that has skipped bond is not likely to qualify for bail bond services again. 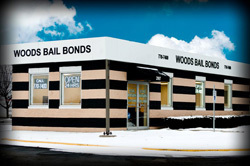 Call James Woods, owner and operator of Woods Bail Bonds, at 317-876-9600 for prompt and professional Indianapolis bail bond services you can trust. He and our team are licensed, bonded, and insured bail agents with decades of experience in the underwriter services industry. We offer immigration bonds, federal bonds, property bonds, probation violation bonds, arrest warrant bonds, emergency bonds, discreet bail bond services, notary services, and so much more. We have an outstanding record and long-term relationships with the local jails and courthouses all throughout Indianapolis and its outer counties. Call 317-876-9600 for information about bail bonds in Indianapolis, IN and get a friend out of jail or arrange your own release for a warrant. This entry was posted in Bail Bonds and tagged arrest warrant bonds Indianapolis, bail bonds Indianapolis, bail bondsman Indianapolis, federal bonds, immigration bonds, Marion County Bail Bonds, notary services Indianapolis, probation violation bail bonds. Bookmark the permalink.